The FAIRLING platform revolutionizes the traditional trade fair business. Your label gains access to the most beautiful boutiques and concept stores in the major cities of Germany. Are you looking for the most dazzling labels and want to sell them in your store before anyone else? With FAIRLING, we unite the hottest brands with the most beautiful shops that make our cities so unique. Our aim is to discover and appreciate beautiful products away from the mass market: Products with a story to tell, a manufacturing process with heart, and material selection with passion. 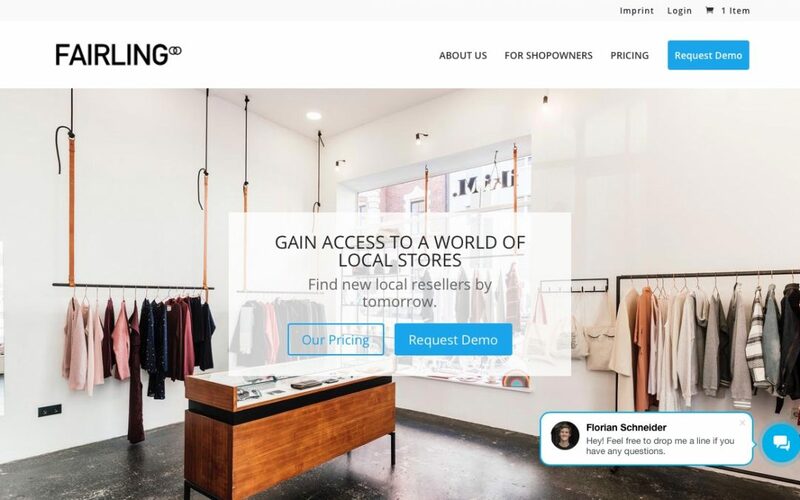 FAIRLING is the matchmaker for shop owners, designers, and labels. Always on the lookout for what our cities have to offer, we are bringing more diversity to the retail sector with FAIRLING. Our aim is to uncover and recognize true beauty. Products with a meaningful story, meticulous material selection, and a dedicated, hardworking team . FAIRLING is the matchmaker for shop owners, designers, and labels. We are actively searching for new and exciting brands to bring diversity to the retail sector. LOOKING FOR THE BEST BRANDS?